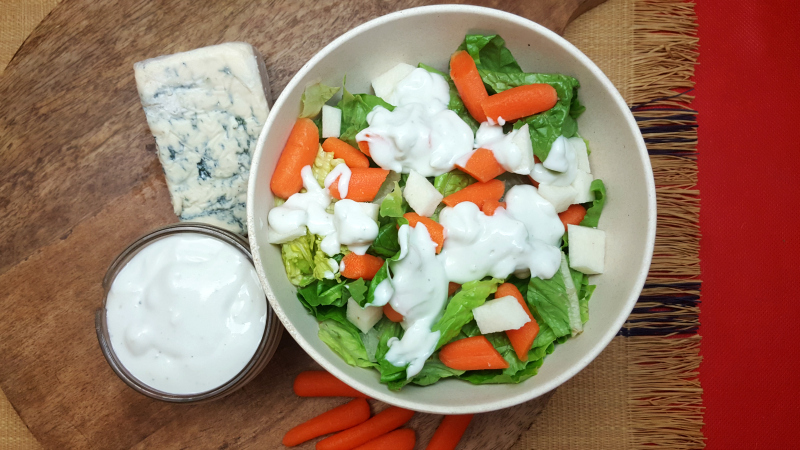 Blue cheese salad dressing is quick and easy to make at home with just a few ingredients. 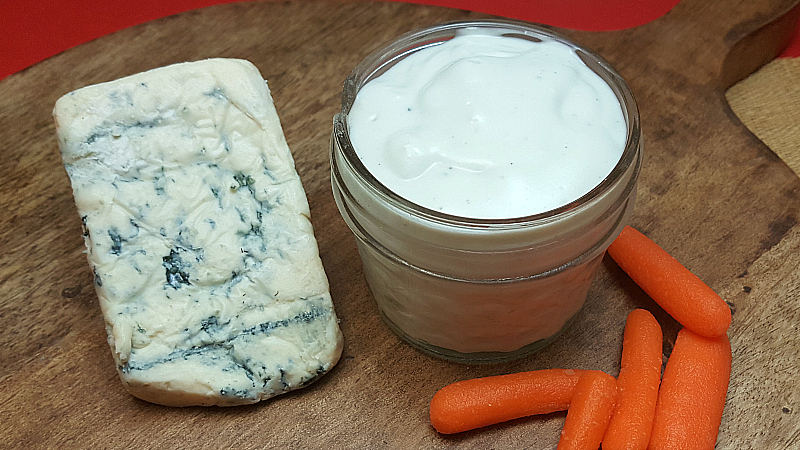 It only takes a couple of minutes to make and the flavor of homemade is absolutely delicious! 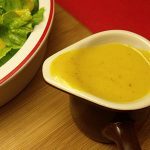 This type of salad dressing is often made with mayonnaise, but doesn’t need to be. 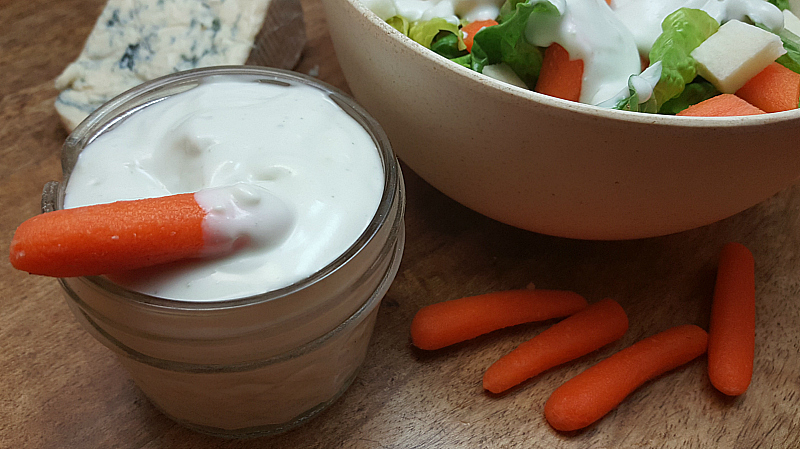 There are many people who either don’t like mayo or want to choose healthier ingredients. 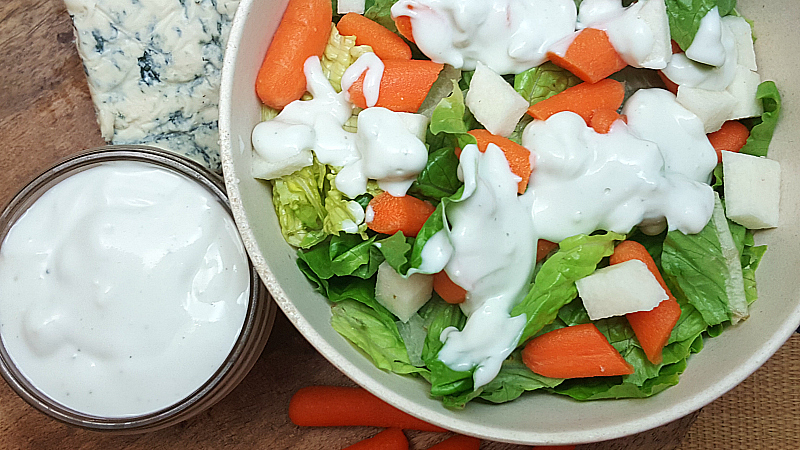 The flavor and creamy texture of this dressing are excellent without using any mayo. 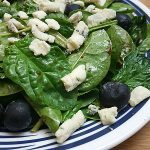 I used a wedge of blue cheese this time, but you can save a few seconds of prep time by buying a container of crumbled blue cheese. 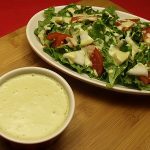 The dressing is thick with tasty little chunks of blue cheese. 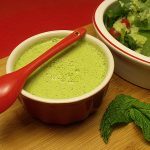 You can use it on a salad or as a dip for veggies or wings. Serve immediately or store in the refrigerator in a covered container.